GUEST BLOG / By Mike Shess, Publisher, West Coaster craft beer website and print magazine. For the next few weeks, PillartoPost.org daily online magazine in its weekly The Brewspaper column will profile on “Best of” from West Coaster’s annual poll. The Copenhagen-based Mikkeller brand has grown into an international collection of pubs. So when San Diego’s AleSmith announced it was moving into new digs, Mikkel Borg Bjergsø sprung to establish his own brewery, in a “creative partnership” with AleSmith, at the old site. Former AleSmith head brewer Bill Batten decided to stick with the brewhouse he knows best and signed on with Mikkeller (9366 Cabot Drive, San Diego). 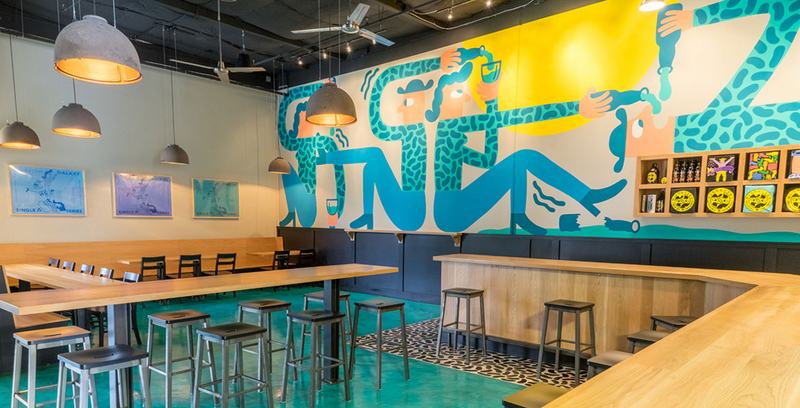 The tasting room is covered in Mikkeller’s quirky-cool art and is slightly larger than its previous incarnation. In 2017, the brewery is planning a new beer release every single week. MEDIA MONDAY / IS THE DEMOCRACY IN CRISIS?